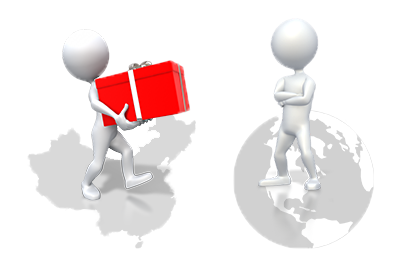 When we send any shipment, www.chinashipshop.com calculate its volumetric weight while weighing it and we find out that it is not always easy to hold grasp the things so we break it done into small details for you so it gets easy for you. China ship shop will give you a china virtual address as a Chinese shipping address, is a china courier to be the best way to ship from china to us your packages. The amount of space that your parcel covers, other than the original weight while moving the shipment to you can also affect the total amount of transporting cost. This is the volumetric (or dimensional) weight. Actually, the volumetric weight of a shipment can be calculate by the density of your parcel. An item that is less dense can generally consume more volume or space as compare to its original weight. When the volumetric or dimensional weight is calculated, it is then compared to the original weight of the shipment to check which one is greater; the shipment cost is calculate by the higher weight. Volumetric weight can be measured by multiplying the length x height x width of the parcel and then dividing the total result of that calculation by a volumetric factor. Kindly keep in mind thatthe weight of the shipment that is mentioned on the merchant order confirmation that is of ground shipment or the air shipment of the parcel from the merchant to our store location. It is possible that the charges of merchant’s ground shipping may or may not be calculated using the volumetric weight as it depends on the carried and the size of the parcel. If the volumetric weight is used to make calculations by the carrier that the Merchant used for ground or for domestic air, then the volumetric factor for calculating volumetric weight will be different and the volumetric weight will be lesser than the one used for international air shipments. We are hopefully that this helped you understand the volumetric weight in an easy and better way to sendfromchina your packages. If you have any other question you can freely contact our customer services.